We've hand-picked the best colours, finishes, and décor ideas for you to explore. Learn about our range of products, their painting processes, and colour combinations, all in one stroke. Silky Smooth perfection now comes in 50 exclusive shades. 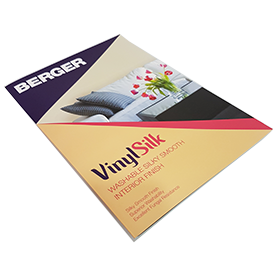 Here is a peek at the Vinyl Silk Colour Card showcasing the product features and colour range. 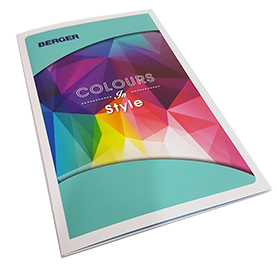 Explore the colours available in Berger Select Interior Matt Finish. 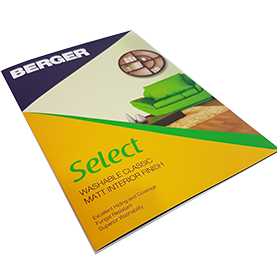 With superior washability and stain resistance, Berger Select will give that 'just painted' look for years to come. 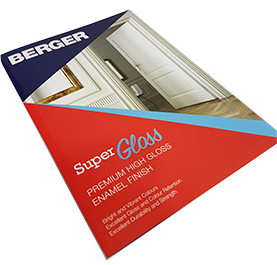 Berger Super Gloss is a revolutionary enamel paint known for its excellent gloss, unmatched versatility, and fast drying time. Learn more about its features and colours in this guide. All these colours are now also available in Matt finish. 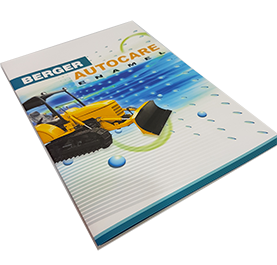 Berger Autocare is a specially formulated Alkyd Enamel for refinishing automobiles, industrial machinery and heavy equipments. 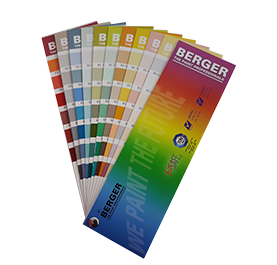 In this guide, you will find the range of shades offered in Berger Autocare. 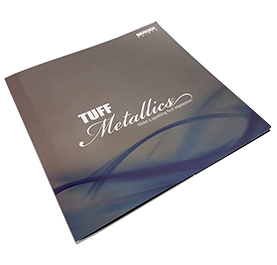 A range of shiny highlights, Tuff Metallics is perfect for those who want to add an extra something to their homes. Refer this guide to look at the metallics shade range we offer. Take a look at the 20 pastel shades offered in Royal Emulsion - the high performance economical interior wall finish preferred by paint professionals. 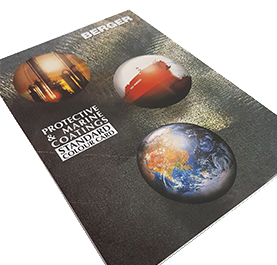 Berger specializes in a wide range of protective & marine finishes including polyurethanes, polysiloxanes, epoxy mastics, anti-fouling, epoxies, alkyds, etc. Here is a selection of the most popular colours these products are available in. 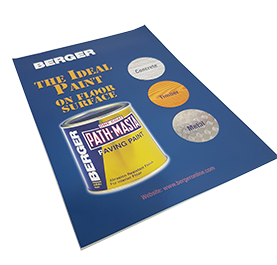 Berger Pathmasta is a high quality abrasion resistant paving paint for interior floors. It's versatility makes it suitable for many substrates such as concrete, timber and metal. Refer the guide to know the available shades. Showcase of 258 trending colours of Asia, curated to reflect the pulse of today. Available across a wide product rage of Interior, Exterior and Enamel paints. The fandeck comprises of the PLS approved shades from the BS 5252 range. 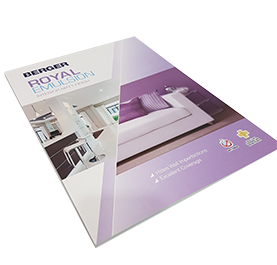 These colours are available across a range of Singapore Standards certified products such as Weathercoat 345, Weatherflex 500, Berger Gloss 7, Emulsion 150 and Berger Wallcare. RAL is one of the most popular Color Standard in use today in architecture, construction, industry and road safety. 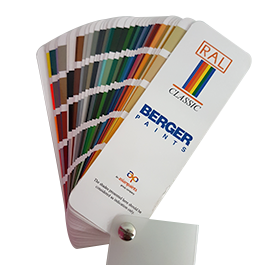 In this fandeck, you will find the enitre range of RAL colours on offer across various proctective and marine coatings of Berger. 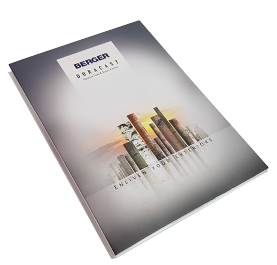 Berger Duracast is a range of exterior textured coating and stone finishes. 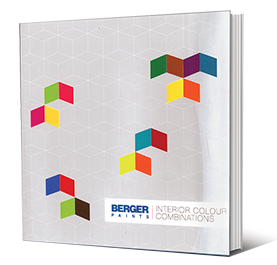 Find the range of shades and textures offered in Berger Duracast in this guide.